Apple doesn't seem to put much emphasis on specs anymore, but that's not necessarily a bad thing. Dan Moren explains. It will, I’m certain, shock and surprise you to know that I’m the person anyone in my family comes to when they’re thinking about buying a new piece of technology. But earlier this week, when my cousin came to me looking for advice about buying a new laptop, I realized something: The specs race is over. I’m much more concerned with how my computer lets me get things done. And while specs play a part in that, stats like the number of gigahertz in a processor or cache sizes are no longer the most important factors in our technology experience. 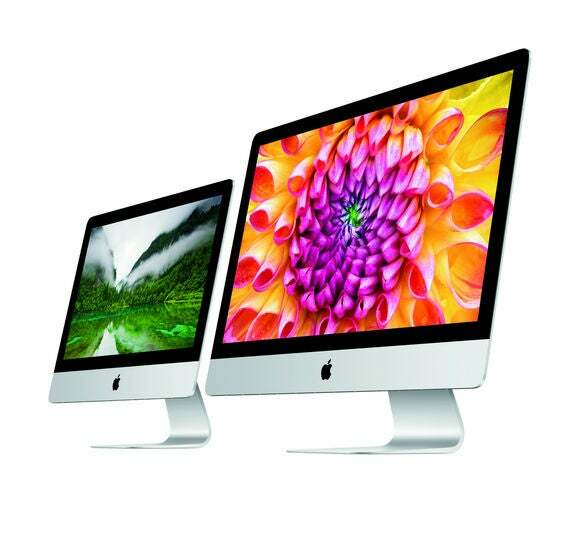 Apple has been moving steadily away from talking about specs for years. In part, that’s because after the meteoric growth in the late ‘90s and early 2000s, a lot of those numbers have started to plateau—or even go backwards. Processors used to strive to hit that 4GHz mark, but none of my current Macs tops 2GHz. 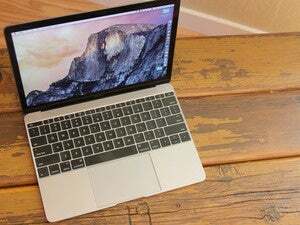 Many of us have traded the option for terabytes of storage for the smaller capacities of the MacBook Air and the like. Even the maximum RAM in a lot of Macs hasn’t expanded much in the last few years. And yet our computers have become no less functional. In part because the improvements have become orthogonal: More cores rather than faster clock speeds; faster solid-state storage instead of spinning platters; wireless Internet connections instead of Gigabit ethernet. All of those are substantial improvements to the way that we use our Macs, even if they aren’t easily measured in numbers or demonstrated on a graph with a line heading steadily upwards. Instead, though, Apple has spent much more time focusing on figuring out how to make computers better fit into our lives. This manifests in a variety of ways, such as the purely physical: Making them lighter, smaller, easier to carry around. Battery life has been a key area as well: The best laptop in the world isn’t worth much if it runs out of juice at a critical moment. Instead, though, Apple has spent much more time focusing on figuring out how to make computers better fit into our lives. None of this is to say that Apple doesn’t still want to make its computers better, indulging in a game of higher, further, faster, more. The push towards Retina displays, after all, certainly smacks of the old race for speedier processors and bigger numbers, though Apple has focused more on the qualitative improvements of the experience than quantitative. But perhaps the biggest factor is the overriding shift in computing technology over the last almost-decade. To paraphrase the old adage about cameras, the best computer is the one you have with you, and that’s increasingly not the Mac, but the iPhone and iPad. And when it comes to the iPhone and the iPad, Apple really doesn’t talk about numbers. Or, I should say, it doesn’t talk about the numbers that we’ve come to expect in discussing computers. Sure, you can dig up the processor speeds or amount of RAM for any given iPhone, but you’re not going to get them from Apple; you’re more likely to find them out when the inevitable iFixit teardown surfaces. Instead, Apple’s going to talk about those same issues of weight, size, and so on, because those are what’s important to most people in a personal, portable computer. By and large, people seem to be fine with that. The added improvements to new smartphones and tablets don’t necessarily come from more RAM or even faster processors—though Apple does like to tout each new generation of chip inside the phones—but from things like higher quality and larger displays, added security features like Touch ID, and perhaps soon new dimensions of interaction, like Force Touch. In the same way that these days we generally worry less about our cars’ horsepower and more about its gas efficiency, specs have ceased to become the most salient detail in our computer choices. The more pressing concern is simply whether they’ll get us from point A to point B.